Is the size of your commutator limiting how many channels of neural data you can record? Stuck at 2 channels, when you want to record more then 30? Or perhaps you want to record up to 217 Channels from an awake behaving animal, but can’t afford the design, engineering, and production of a custom commutator to allow it? Now you can record what you want as much as you want! With the new MultiRecord System! 31 Channels over a 3-line commutator! 62 channels over a 4 line commutator! 124 channels over a 6-line commutator! A-M Systems is proud to partner with industry leaders Datawave Technologies and Triangle BioSystems to bring to you a complete, yet easy-to-use, high-density extracellular recording system. The new MultiRecord system is capable of recording from 31 to 247 channels simultaneously from freely moving animals using a simple commutator. For example, a 31-channel system only requires a 3-line commutator thanks to the creative use of multiplexing technology found in the TBSI headstage package. Need to record from 62 channels? Then, you only need a 4-line commutator, rather then a break-the-bank custom engineered 62-line commutator. Several commutator options are available. Please contact us to determine the best commutator for your needs. 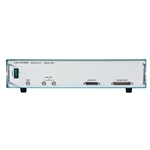 The signals are then passed to the A-M Systems Model 4000 amplifier, where they are amplified and filtered according to the user-set control panels within the Datawave Technologies SciWorks Data Acquisition and Analysis package. Using SciWorks® Experimenter, the user can perform real-time data analysis, including multi-unit spike sorting and separation, generate complicated stimulation patterns, and write data to a multiple of common industry defined data formats. Data Acquisition and Data Analysis processes are seamlessly integrated into a single software package. Users can define how the experiment should be run, collect data, run complicated analysis tools, and store raw and analyzed data all at the same time, without having to change software packages. Our new Model 4000 Amplifier is designed to mate seamlessly with the TBSI 31-channel multiplexed headstage system and the Datawave Sciworks Data Acquisition and Analysis Package. The Model 4000 has 32* independent gain and filtering stages that are controlled in realtime by the Datawave software package during data acquisition. Full access to the Datawave A/D card is available on the front panel. * There are 32 channels in the amplifier, but only 31 are utilized with the TBSI M-Series multiplexed headstage system. The amplifier can be easily paired with other 32 channel headstages, such as TBSI’s tethered or wireless systems. The Multirecord Package features the M-Series 31-Channel headstages made by Traingle Biosystems (TBSI). Triangle BioSystems, Inc. offers a family of multiplexing channel analog multiplexing headstage subassemblies that are used to provide a reduced wired connection between implanted electrodes and neural recording and analysis equipment. The main function of the headstage is to precondition the neuron pulse signals and provide a high gain, bandpass filtered buffered connection over a 3 wire cable. 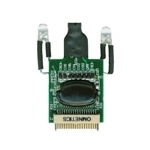 Each headstage design is based on a custom, low power VLSI developed by TBSI. The result is a solution with superior performance and reduced wire connection in a very small form-factor with less weight. A-M Systems now offers a complete Data Acquisition and Analysis system, including software, A/D card, and input/output patch panel. Made by Datawave Technologies, this system is the complete solution to your acquisition, storage, and analysis needs. 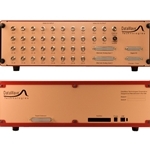 The industry leader in multi-channel data acquisition and analysis systems, DataWave Technologies® SciWorks® Experimenter software suite, combined with their advanced A/D hardware options, is the perfect compliment to A-M System’s Model 4000 30-Channel Amplifiers and TBSI’s 30-Channel M-Series headstages. However, the purchased system comes complete with all of the software and hardware required to perform multi-channel data acquisition and analysis.